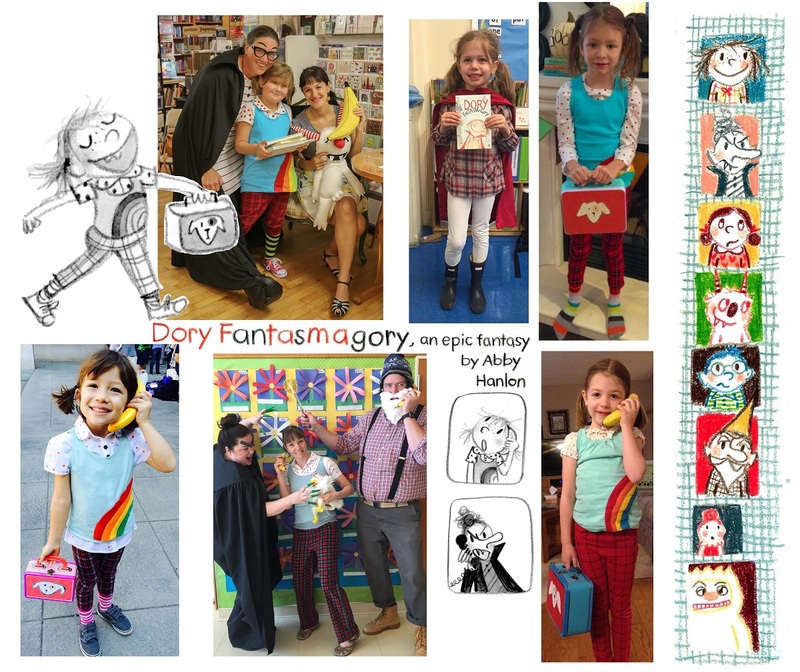 This week we’re celebrating author-illustrator Abby Hanlon‘s leading lady DORY FANTASMAGORY, a character who has warmed our hearts over three DORY FANTASMAGORY books (so far!) and taught us to engage our imaginations whenever possible. Abby Hanlon shares her process and inspiration that led her from working as a first grade teacher to writing books for young readers. 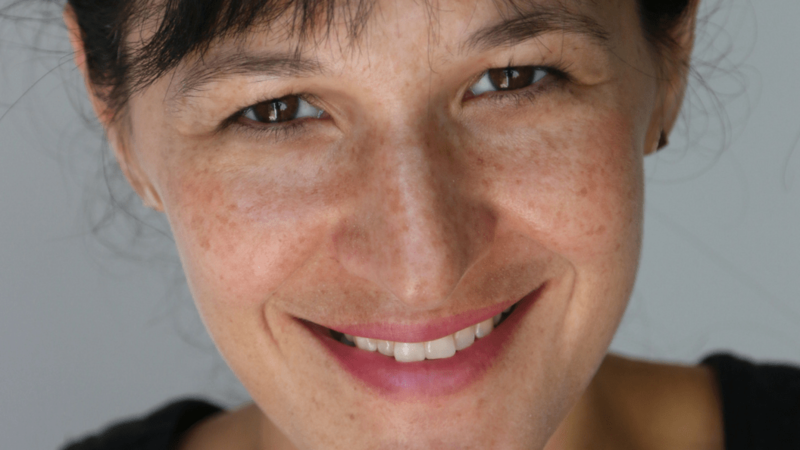 CLICK HERE to listen to the interview! 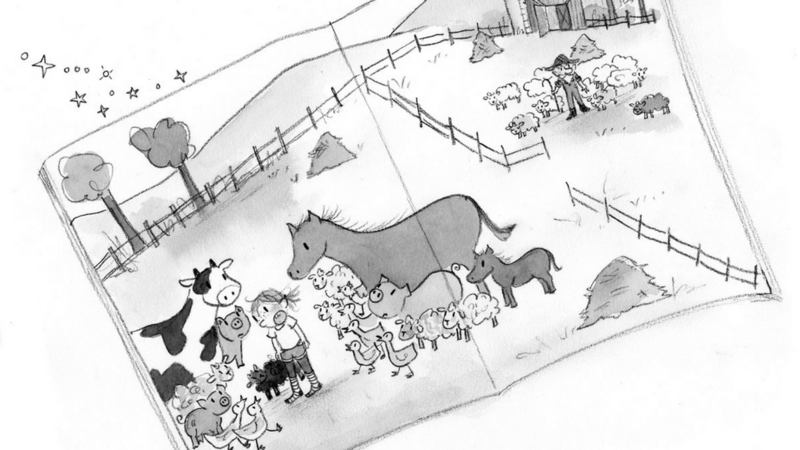 Author-illustrator Abby Hanlon takes us behind the scenes of DORY DORY BLACK SHEEP. 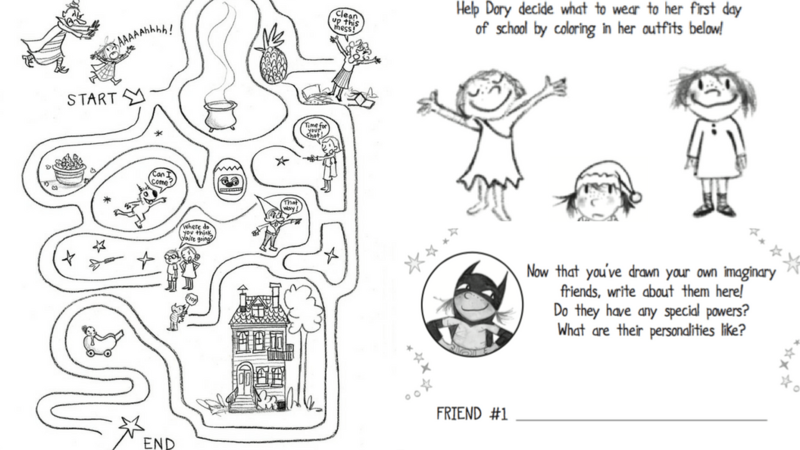 CLICK HERE to read about the inspiration she drew from her own life for the third Dory book. 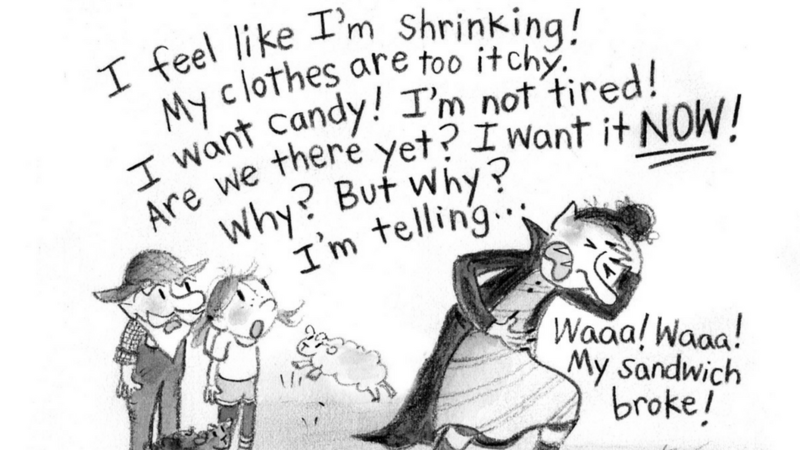 A close look at how author-illustrator Abby Hanlon weaves together text and illustration in her latest DORY FANTASMAGORY book DORY DORY BLACK SHEEP! CLICK HERE to read. 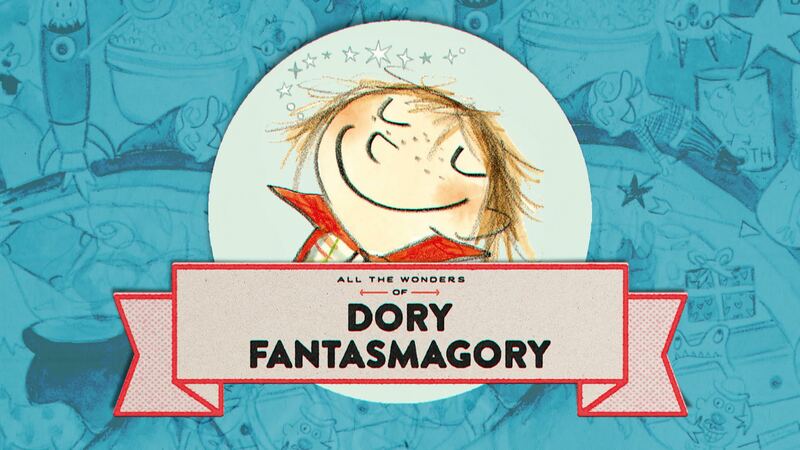 Take a step back and learn about the imaginative powers of DORY FANTASMAGORY. CLICK HERE to read. 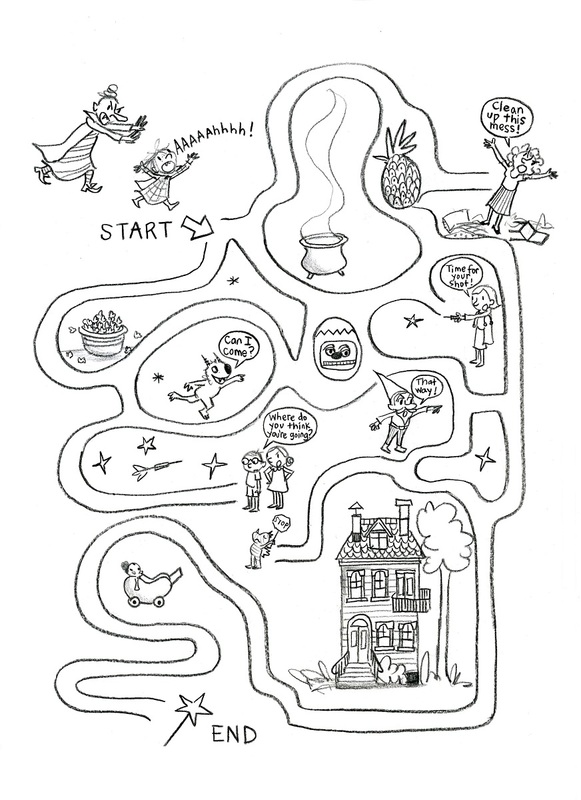 Download and print the maze and activity guide for some extra fun with Dory Fantasmagory. New to Dory Fantasmagory? Here’s a video introduction to our favorite rascal, Dory. 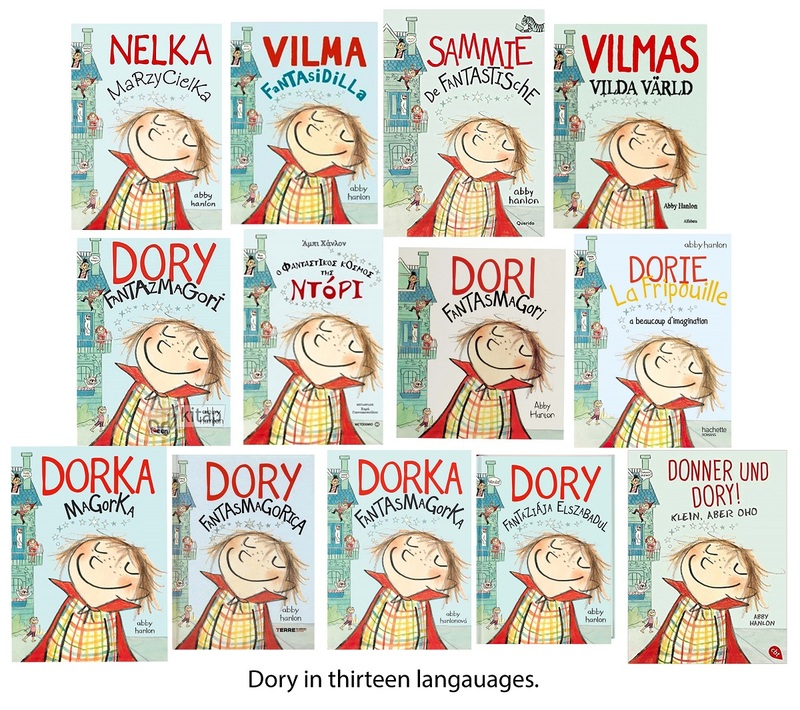 Dory Fantasmagory has been translated to over a dozen different langages. Click the image to enlarge and see how many languages you can correctly identify! Dory has lots and lots of friends who like to pretend and imagine. Maybe you’re one of them! 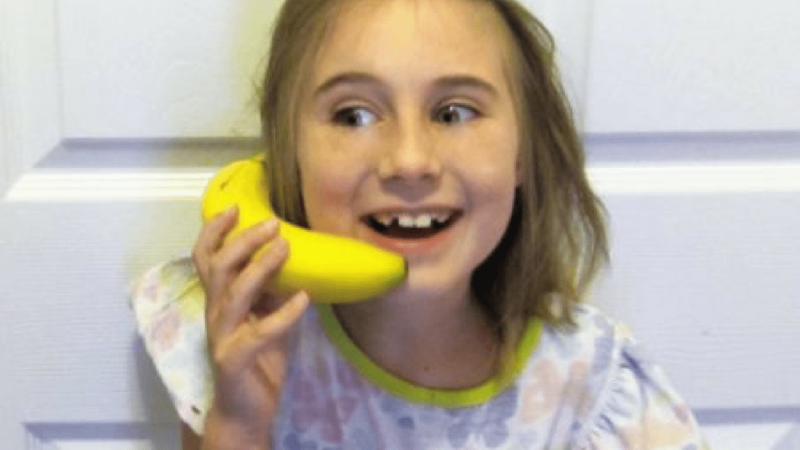 Dory fans, and tomorrow can’t come fast enough for us to share this feature with her schoolmates. It’s so thrilling to hear that!! This was our first foray into something slightly older than a picture book, so I’m over the moon that you love it (and Dory)!